If you’ve ever wished there was a more effective way to recover past-due debt, you’re not alone. Many medical and dental providers are disappointed by the harsh tactics and dismal results of third-party collection agencies. They know there must be a better way...and they’re finding it at DB Debt Recovery. Recover more debt—and protect your reputation. 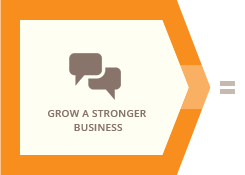 We have a proven track record of recovering more—much more—of the past-due revenue that our clients have worked hard to earn. 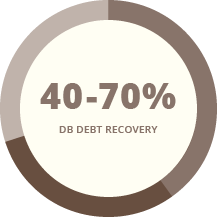 Our 40-70 percent recovery rate is double or more than the 20 percent best overall recovery rate achieved by third-party collectors. And it’s up to four times more than the average 16 percent medical/dental third-party recovery rate. Be the first to get paid. We believe that putting you first means paying you first—always. In fact, all the funds we recover on your behalf flow directly to you; we simply invoice for our fee at month’s end. In contrast, third-party collectors pay themselves before their clients, because they own the debt. We remain first-party collectors, which gives us more freedom to locate debtors. 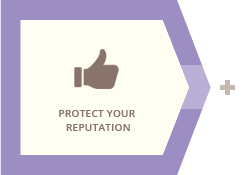 We have unique skills in respectful debtor negotiation that are key to getting better results. Our knowledge of billing and insurance practices enables us to navigate the complex, often confusing debt recovery environment—which is especially important in medical/dental practices. We can help debtors better understand the charges on their bills, making them much more likely to pay. 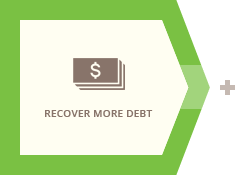 In short, we offer a powerful, positive approach to debt recovery that’s proven to work better. We look forward to putting it to work for you. 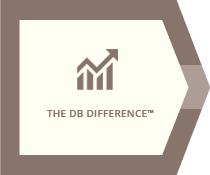 © 2019 The DB Difference, LLC. all rights reserved.